After all these years I still get excited about new technologies and their resulting products, especially when I have had the good fortune to play a part in their development. 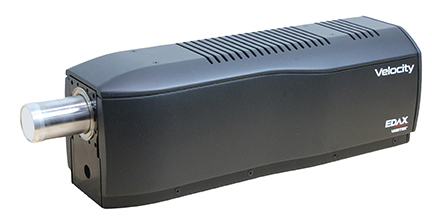 As I look forward to 2019, there are new and exciting products on the horizon from EDAX, where the engineering teams have been hard at work innovating and enhancing capabilities across all product lines. 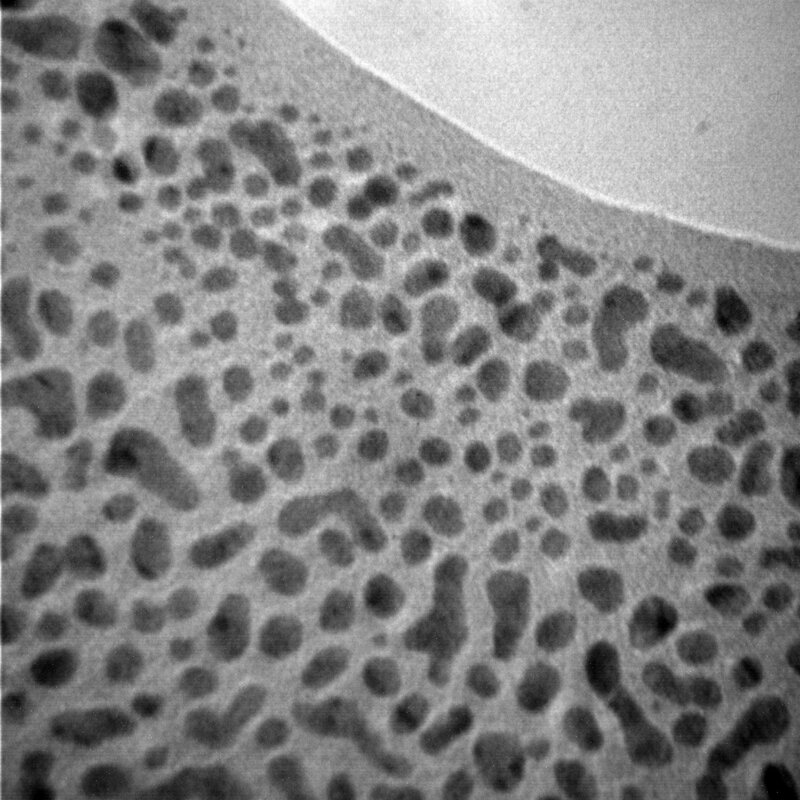 We are on the verge of having one of our most productive years for product introduction with new technologies expanding our portfolio in electron microscopy and micro-XRF applications. 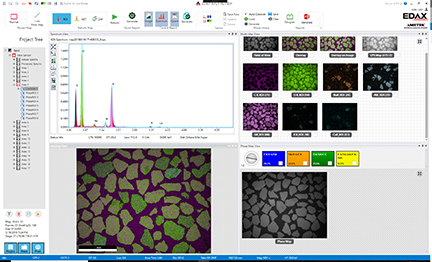 Our APEX™ software platform will have a new release early this year with substantial feature enhancements for EDS, to be followed by EBSD capabilities later in 2019. APEX™ will also expand its wings to uXRF providing a new GUI and advanced quant functions for bulk and multi-layer analysis. Our OIM Analysis™ EBSD software will also see a major update with the addition of a new Dictionary Indexing option. A new addition to our TEM line will be a 160 mm² detector in a 17.5 mm diameter module that provides an exceptional solid angle for the most demanding applications in this field. Velocity™, EDAX’s low noise CMOS EBSD camera, provides astonishing EBSD performance at greater than 3000 fps with high indexing on a range of materials including deformed samples. 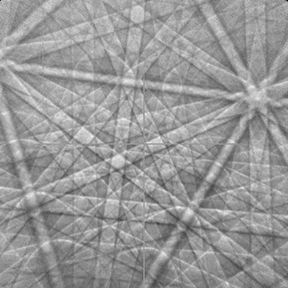 Last but not least, being an old x-ray guy, I can’t help being so impressed with the amazing EBSD patterns we are collecting from a ground-breaking direct electron detection (DED) camera with such “Clarity™” and detail, promising a new frontier for EBSD applications! It will be an exciting year at EDAX and with that, I would like to wish you all a great, prosperous year! During a recent trip to our Draper lab in Utah for a training class, I got a first-hand look at Matt’s new lab partner (https://edaxblog.com/2017/02/14/my-new-lab-partner/). 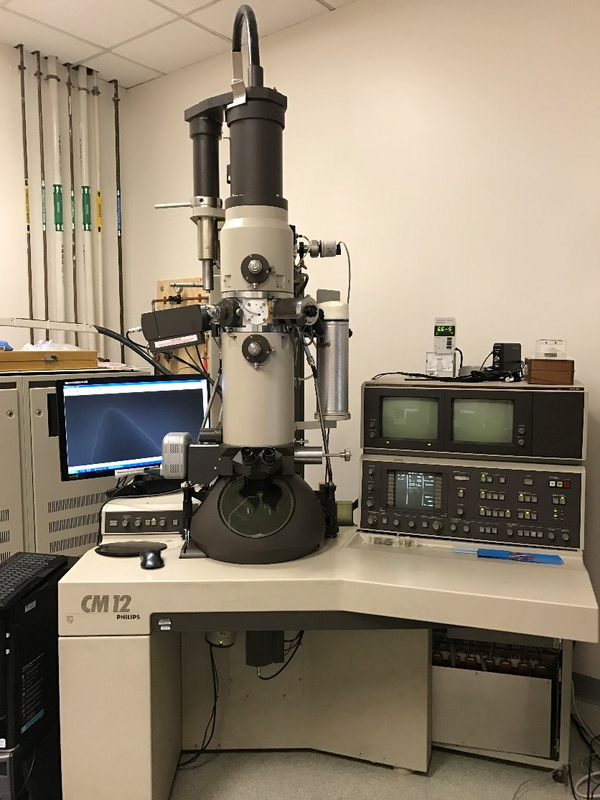 I must admit that I am a little envious of his new microscope and how easily you get great looking images (even at low acceleration voltage or high beam current) compared to the systems we have in our Mahwah lab. However, I must also admit that he needed an upgrade a lot more than we did. While his old XL has been very reliable (and still seems to be, even after moving it to another room), it was always a bit of a worry conducting a training class with only one microscope available and one that was at end of service life at that. OK, it’s definitely not an ARM or a TITAN, it only goes to 120kV, it’s not quite as new and fancy as Matt’s microscope, and the firmware might read 1994 when you hit the ON button, but it’s still good to have a TEM in the building once again. One of the things that’s great about older scientific instruments is that they often include full vacuum and wiring diagrams, schematics, and troubleshooting directions. Not so great: pressure readings in arbitrary numbers… I did some creative plumbing and mounted extra gauges on the line of the microscope gauges so now I know that a pressure reading in the buffer tank of 26 corresponds to roughly 10-1 mbar and that the camera chamber goes down to the mid 10-5 mbar. As an added bonus, several people in the building have been around long enough to have experience with the CM12 both as users and service and have had their memories jogged for how to run and align it. This also spurred the comment: “That’s right, this is why I decided to get out of field service…”. Of course, a lot of what we do at EDAX doesn’t really require great resolution or the newest instruments. While it’s always nice to have pretty pictures to go along with things, the X-rays don’t really care much about your astigmatism or spot size (unless you are trying to map of course). But there’s a significant difference in what you see in your spectra whether your electrons are hitting the sample with 15 kV or 120 kV. There are also very different considerations and limitations between a SEM and a TEM when it comes to actually mounting the detector, designing collimators, and even what materials can be used. With that being said, I hope that with my “new” lab partner we will move things along so that we can show you new applications, software, and hardware specifically for the TEM in the near future.